Below is a bio on George and Mildred Elliott, plus an excellent story on George. To view George’s car owner stats, visit racing-reference.info. When Erving George Elliott Jr. and Mildred Reece Elliott married in 1943, they had no idea they would become the patriarchs of one of NASCAR’s most iconic racing families. George recalled how they met in the book “Fastest Man Alive” written by Al Thomy in 1988. 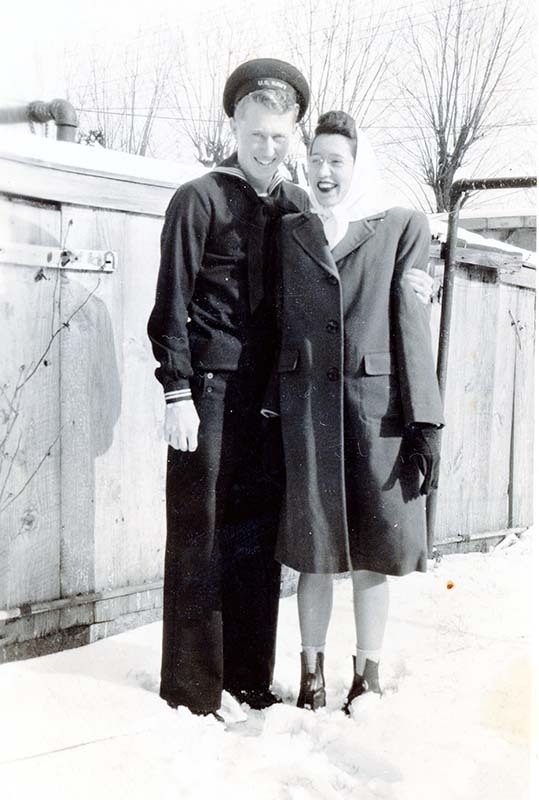 “First met Mildred in 1940 when I was sixteen,” George said. 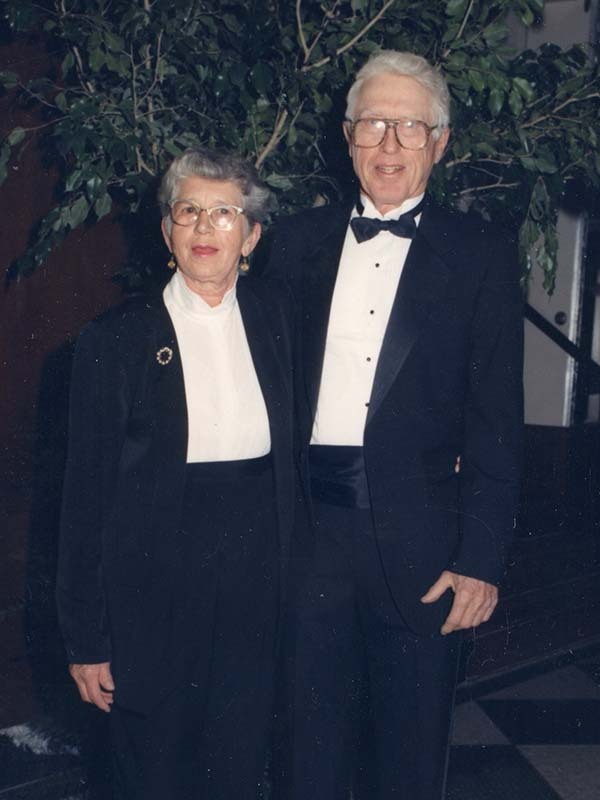 “She worked in the Dawsonville Agricultural Office, and I used to go there and quite often. We became good friends. 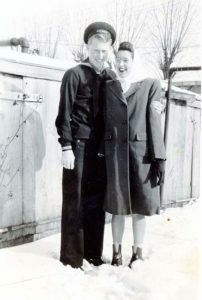 Two years later I started college at North Georgia, but, the war was heating up, that lasted only through 1943 when Mildred and I got married and I enlisted in the Navy. That was a hectic time in everyone’s lives. As a young man, George was introduced to stock car racing by watching local stars Gober Sosebee and Jim and Parker Seay slide through the turns on some of Georgia’s most storied dirt tracks. George fielded his own short track team in the early 1960s with local stars Dan Lingerfelt and Aaron Gailey as his drivers. George also fielded Fords in NASCAR’s premier Grand National series in eight events with drivers Don Tilley, Harry Galley, Charles Barrett, A.J. Reno and Jody Ridley from 1966 to 1974 using the numbers 09, 53 and 94. As teenagers, sons Ernie, Bill and Dan worked in the family’s businesses splitting their time between the speed shop, the building supply business and the Ford dealership George bought in 1970. George oversaw the dealership while Mildred, a spent her time managing the administrative side of the lumber store before it was sold by the mid-1970s. She was exceptionally smart, graduating from high school at age 14 as valedictorian before studying business at North Georgia College. Even as young teenagers, George saw how Ernie, born in 1947, enjoyed building engines. Dan, born in 1951, had a keen ability for working on transmissions and chassis. Bill, born in 1955, had a feel for driving on back roads and black tops. Bill remembers how his father’s talent for business led the family into several successful ventures that funded their racing efforts. On September 7th, 1974, Bill won his first sportsman race at the Dixie Speedway in Woodstock, Georgia and set his storied career into motion. Bill’s driving success continued, leading to the family’s first No. 9 Ford Torino for competition in NASCAR’s elite Cup series in 1976. 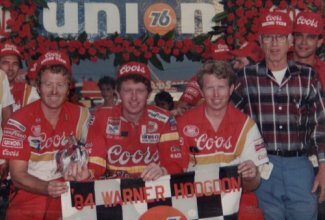 George sold his fledgling team to Harry Melling on Dec. 1, 1981 and began a racing dynasty that produced a storybook victory in the 1985 Winston Million, the 1988 Cup series championship and 34 of Bill 44-career Cup series victories. Under the guidance of George and Mildred, the trio of Elliotts forever made their marks as some of the greatest competitors in NASCAR’s 70-year history. Ask most anyone who knew him, and you will hear that Dawsonville, Georgia’s George Elliott was the epitome of a hard worker and a fine gentleman. George Elliott was born April 7, 1924 in Dawsonville. While he may be best known as the father of NASCAR champion brothers Bill, Ernie and Dan Elliott and the grandfather to up and coming stock car racer Chase Elliott, those who knew him say he was the epitome of a hard worker and a fine gentleman. It’s these qualities that led him from being a race team owner on the north Georgia short tracks to his family becoming one of the most beloved and successful teams in NASCAR history. 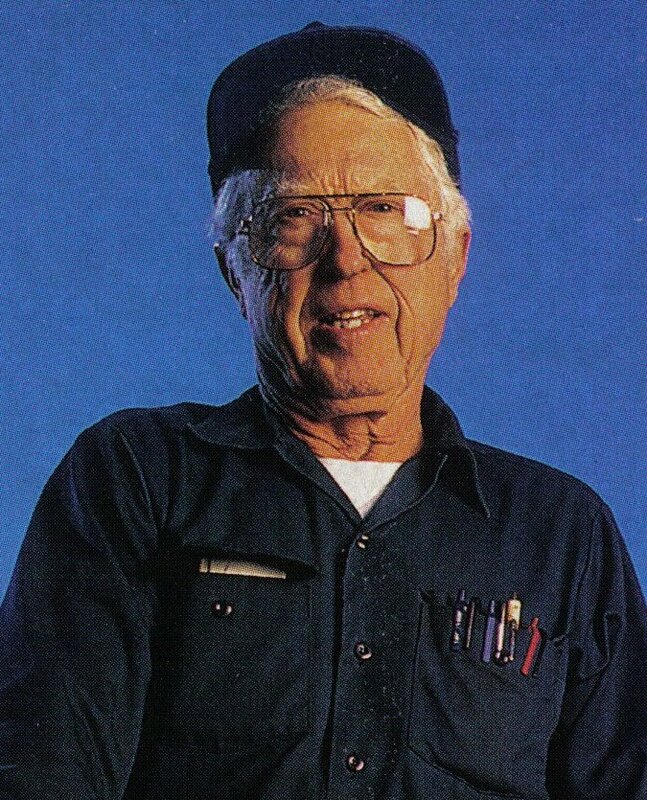 George owned a Ford dealership and a speed shop, and from that worked his way into racing. Elliott started out his racing career as the owner a short track team, competing all over the southeast. From there, he worked his way into NASCAR racing. While he succeeded on the short tracks in north Georgia, including a stint as part owner of Jefco Speedway in Jefferson, Georgia (now known as Gresham Motorsports Park, run by his son, Dan) he had his eyes placed firmly on NASCAR and getting into the higher ranks of racing. Elliott fielded cars for Dan Lingerfelt and Aaron Gailey, picking up wins in the NASCAR Sportsman division in the late 1960’s, including a major win at Atlanta’s Lakewood Speedway, where Lingerfelt bested great racers such as T.C. Hunt, Joe Lee Johnson, Curtis Turner and “Tiger Tom” Pistone. Elliott would celebrate many times with his drivers in victory lane, and was well known for working barefoot in the pits. George’s first stint into what is now known as the NASCAR Sprint Cup division actually came in 1966, when Don Tilley drove Elliott’s #53 Ford to a 42nd place finish at Rockingham, North Carolina. The car completed just 48 of the race’s 500 laps, collecting $505 for the effort. His second start as a Sprint Cup owner came at Talladega in 1971, when Clermont, Georgia’s Harry Gailey drove George’s #94 Ford to a 31st place finish, snagging $990 at the pay window. Coincidentally, George’s late grandson, Casey Elliott, would use the number at short tracks around the north Georgia area. His son, Bill Elliott, would also later use the number 94 when he started his own team. 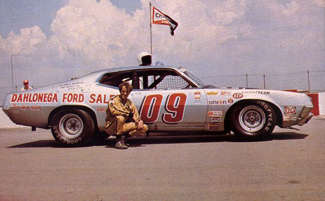 George made a big push into Sprint Cup competition in 1974, as fellow Dawsonville native Charles Barrett piloted the #09 Ford in four races while family friend and future Georgia Racing Hall of Famer Jody Ridley drove Elliott’s Ford in one event. Elliott’s car showed promise. Barrett recorded an 18th place finish at Atlanta, and then followed that up with a top 10 at Talladega, including leading nine laps during the event. Mechanical woes foiled possible good runs for the Dahlonega Ford Sales team at Charlotte and in the fall race at Atlanta, where they ran 27th and 40th, respectively. Jody Ridley’s lone stint for Elliott that year came at Rockingham, where a bad clutch relegated the team to a 31st place finish. After the team’s lone start in 1974, with A.J. Reno behind the wheel, ended with a 45th place finish, the team turned to some family talent for the next year. 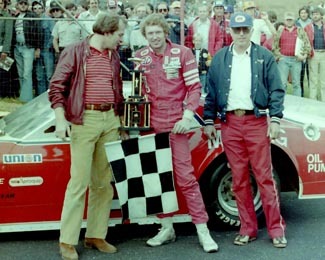 George’s son, Georgia Racing Hall of Fame member Bill Elliott, made his NASCAR Sprint Cup debut at Rockingham in 1976 driving the famed #9 car. A bad oil pump handed the team a 33rd place finish. Elliott would make three more starts that year for his father, with mechanical woes foiling them every time. At Atlanta they finished 36th, at Talladega 38th and at Charlotte they placed 23rd. Of note are two races in 1976 that George ran where his drivers were of world-class caliber. Former Formula 1 and Sports Car start David Hobbs, who would go on to become a world renowned race announcer, ran a Coca-Cola sponsored #9 Ford owned by Elliott at Michigan, where he placed 17th. World Champion sports car ace Al Holbert also piloted George’s car that year, with Days Inn on board as the sponsor, to a 40th place finish at Charlotte after suffering an engine failure. From 1977 through 1981, George would have no other driver in his Sprint Cup effort other than his son, Bill. 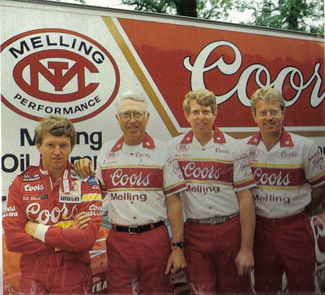 The team competed in a total of 54 events, recording two top five and 23 top ten finishes, along with one pole at Darlington in 1981. The team’s best finish would be second at Darlington in the famed Southern 500, where Bill was bested only by David Pearson. After the 1981 season, George sold his team to Harry Melling, and the rest is history. His sons would go on to become some of the most successful people in the sport of stock car racing, and he would continue to serve as the family patriarch. No matter if it was a short track event or the Daytona 500, George was always there to support his family. George Elliott passed away in September of 1998. But his legacy is one that is clear for all to see at the Georgia Racing Hall of Fame in his hometown of Dawsonville, Georgia. And on Oct. 21, George Elliott will add more history to his family’s record books, as he will become the third member of his family to be inducted into the Georgia Racing Hall of Fame. It’s a long awaited honor, and a deserving one for a man known as one of racing’s hardest workers and greatest gentlemen. Brandon Reed is the editor and publisher of Georgia Racing History.com.